*FREE INFORMATION SESSION on 18 April 2019. Click here for details. Mindfulness is an incredible psychological tool to reduce over-thinking, de-stress, manage pain, diminish unwanted urges, build resilience, enhance satisfaction, be more receptive than reactive, and lessen the likelihood of recurrent depression, anxiety, anger, stress or addiction. It helps you to slow down, become fully aware of the present moment and take a curious and non-judgemental approach to your thoughts, feelings and physical sensations. 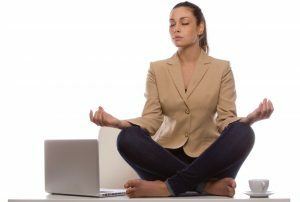 Find out more about what Mindfulness is and is not, here. Mindfulness for Beginners is a 6 week (6hr) program developed by Q-Psych psychologist, Jade Jensen. By participating in the program, you will learn the fundamental skills and attitudes of mindfulness, to incorporate into your daily life. You will also have the opportunity to connect with others (groups limited to 6-10 people) and may opt to develop your skills further in an advanced mindfulness program (under development). Mindfulness for Beginners is suitable for adults (18 and older) who are suffering from depression, anxiety and/or chronic stress. Please contact us if you are unsure if this course is suitable for you. As Jade is commencing maternity leave in mid-2019, there will be a delay before the next program is offered, so don’t miss out! Call now or click here to register for this program. Registrations and payment must be received by 26 April 2019, to secure your place. The program may be cancelled or rescheduled if minimum registrations are not received. 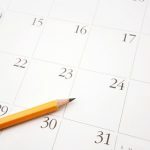 Can’t make these dates? Register your interest now for the next Mindfulness for Beginners program and influence the “when” by nominating your preferred time (day-time or evening)! The program is conducted at Q-Psych’s psychology centre in Grange. Central location. Free on-site parking. Address and map available here. Jade is particularly passionate about people reaching their optimal mental and emotional wellbeing. In addition to a Masters in Health Psychology, Jade has experience implementing a variety of therapy modalities including Acceptance and Commitment Therapy (ACT), Mindfulness, Motivational Interviewing (MI) and Cognitive Behavioural Therapy (CBT). Jade combines principles of ACT, Mindfulness, MI and CBT in an integrative approach with clients to help them achieve their optimal mental and emotional well-being. The full program is $300.00, which equates to only $50.00 per hour (total 6hrs). You may also be eligible for rebates totalling $129.90 ($21.65 rebated each session). The total gap fee (your out-of-pocket expenses) after receiving Medicare rebates = $170.10 (save +40%). See below for more. Participants may be eligible for a Medicare rebate of $129.90 per program. To receive the Medicare rebate, participants must be referred by their GP or psychiatrist for group treatment sessions under Medicare’s Better Access to Mental Health Care initiative. 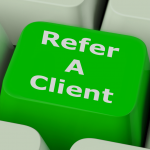 Referrals are at your doctor’s discretion. Please contact Q-Psych’s Program Coordinator, Kylie, for further information. This information will also be provided at the FREE information session (see top of page for link). *Participants who have reached their Medicare Safety Net may receive a 80% rebate of their gap fee (capped). To find out more, call Medicare on 13 20 11. Participants may be eligible for private health rebates and private health funds may rebate more than Medicare for group treatment services. Please check your policy with your private health insurer. 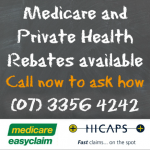 NB: Medicare and private health rebates can not be claimed for the same service. To secure your place on the course, the full cost of the program is to be paid by 26 April 2019. Medicare and private health rebates can be processed on-site at Q-Psych at the time of attending each session. Rebates can only be claimed for sessions attended. In the case of Medicare, six participants must be in attendance to qualify for the rebate (Medicare rule, not ours!). The course may be cancelled or rescheduled if minimum numbers are not confirmed by the payment due date. Payments will be fully refunded if the program is cancelled, but payments are not refundable once the program is confirmed to proceed. Individual sessions are also available at $170 per hour, before rebates. To qualify for the Medicare rebate ($84.80), participants must be referred by their GP or psychiatrist for six individual treatment strategies under Medicare’s Better Access to Mental Health Care initiative. The gap fee per session, after receiving Medicare rebate = $85.20 or less if you qualify for the Medicare Safety Net*. Call now or click here to register your interest in the Mindfulness for Beginners program. Group numbers are limited.